Addicus Books is launching a series divorce books. The new books are modeled after Divorce in Nebraska, first published by Addicus Books in 2006. Those books heading to press this Spring include: Divorce in Alabama, Divorce in California, Divorce in New York, and a second edition of Divorce in Nebraska. Addicus Books has signed seven attorneys to author books on divorce. The list includes Divorce in New York by Michael Stutman, Divorce in New Jersey by John Paone and Megan Murray, Divorce in Alabama by Birmingham attorney Jessica Kirk Drennan, Divorce in Nevada by attorney Marshal S. Willick of Las Vegas, Divorce in Illinois by Steven Peskind, Divorce in California by Debra R. Schoenberg and Jennifer L. Knops, and Divorce in Mississippi by Connie Smith and Jon Powell, and Divorce in Georgia by Richard Sanders, Jr. and Douglas Andrews. The books provide answers to commonly-asked questions about divorce. Previously, Addicus Books published Divorce in Nebraska, by Omaha attorneys Susan Koenig and Angela Dunne;the second edition of their book is due out later in the Spring. In 1958, Lincoln teenage Caril Fugate, 14, was convicted of being an accomplice to her boyfriend Charles Starkweather, who murdered eleven people in the Lincoln area. The nineteen-year-old Starkweather gained notoriety as the first “spree killer” in the United States. Over the past fifty years, debate has continued over weather Fugate was a willing accomplice or a hostage. 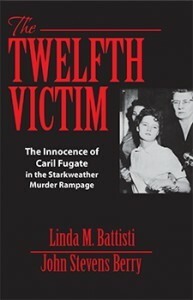 In The Twelfth Victim—The Innocence of Caril Fugate in the Starkweather Murder Rampage, attorneys Linda Battisti and John S. Berry lay out a case, concluding that Caril was Starkweather’s hostage, who was wrongly convicted. She received a life sentence but was paroled in 1973. The distributor for Addicus Books, IPG in Chicago, has announced partnerships with ten new e-book vendors, with contracts underway with an additional eleven accounts. New storefronts include the award-winning Zola Books service, Silicon Valley start-up Oyster, and new offerings from industry heavyweights Samsung and Tesco. IPG is poised to add major library players Bibliocommons, BorrowBox by Bolinda, and others in the coming weeks. Signing on with these vendors will increase overall consumer access to e-books in every marketplace. In addition, IPG’s early entrance into these new storefronts is a boon to e-book discoverability. Early entry means less competition from other publishers and distributors, and has led to product features on sites such as Zola.com, with discussions underway for similar features on Oyster and other new storefronts. 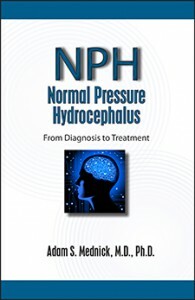 Dr. Adam Mednick, author of the new release, Normal Pressure Hydrocephalus: from Diagnosis to Recovery, made a recent appearance on NWTH Television in New Haven, Connecticut. Dr. Mednick, a neurologist, explained the three primary symptoms of NPH: trouble walking, incontinence, and mild dementia. A woman, who is one of his patients was also interviewed for the news segment; she had undergone recent shunt surgery, which reversed her symptoms. 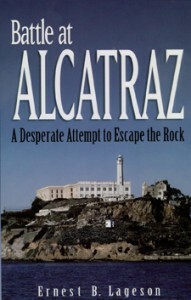 Addicus Books published Battle at Alcatraz in 1999, and the book is still a top seller…especially in the gift shop at Alcatraz Island. The former prison is now a tourist attraction off the coast of San Francisco. Since the book’s publication, the author, Ernie Lageson, has made weekly trips to the island gift shop, where he autographs books. He typically sells several dozen books in an afternoon. Battle at Alcatraz tells the story of the attempt by several inmates to overtake the prison in 1946. At the time, Lageson, age 13, lived with his parents in civilian housing on the island. His dad was a prison guard, who was shot and left for dead during the uprising; however, he survived. 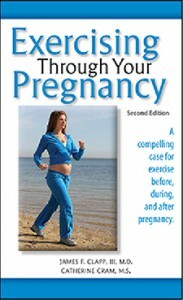 An article by Catherine Cram, M.S., an expert on material fitness and author of Exercising through Your Pregnancy (Addicus 2012), is featured in this month’s issue Fit Pregnancy. Her article, “Choose the Best Workout for Your Mood,” discusses a variety of ways to exercise—from vigorous workouts when you’re in a good mood to doing only stretching when you’re tired. Another title in the new Addicus “Divorce Series” is off the press. 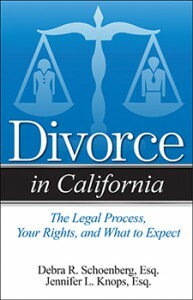 Divorce in California is now available. The book is authored by by Debra Schoenberg, Esq., and Jennifer Knopps, Esq., both family law attorneys in San Francisco. 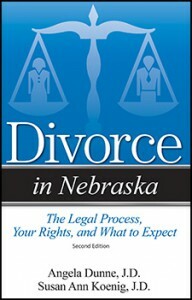 The next titles in the series going to press are Divorce in Alabama and Divorce in Nebraska (2nd Edition).